. …since 2015, BNPB has used the platform as part of its daily emergency management operations, representing a breakthrough in information exchange with citizens. 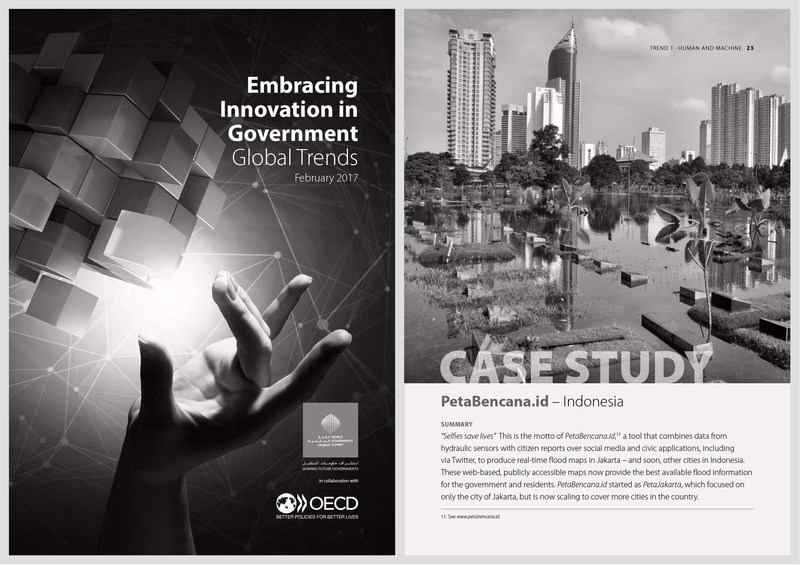 PetaBencana.id is featured as a case study in OECD’s report on innovative governance practices. The report commends the unintrusive integration of the platform into the National Disaster Management Agency’s existing disaster risk management information ecosystem, representing a major advance on the agency’s previous information dissemination systems.